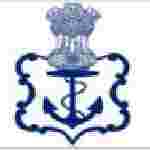 Indian Navy Draughtsman recruitment 2016-17 notification apply for 29 posts : Nausena Bharti, Indian Navy Indian welcomes the applicants for the position of 29 Draughtsman grade – 4 (Senior Draughtsman). Candidates who completed their Matric, diploma is a good opportunity.The individuals who are the occupation seekers searching for govt employments in India this is the best chance to apply. Competitors read the official notification then read all the guidelines and miners precisely then apply before the last date online application got. All the interested and eligible candidates can apply before 28 days from the last date of publication of advertisement in Employment Newspaper. Academic Qualification Details: Candidates should have passed 10th class standard examination board / matriculation class standard examination board or its equivalent from an recognized institution and two year diploma or certificate in Draughtsman – ship from an industrial training institute or equivalent recognized institution. Process of applying for the job: Candidates may apply in prescribed application form along with self – attested copies of education certificates / experience certificate and a self – attested envelope of size 23 *13 cm with postage stamp of Rs 60/- affixed on to send to the integrated head – quarter inspection, West Block – 5, wing 1 (F?F), RK Puram, New Delhi :- 110066 on or before 28 days from the last date of publication of advertisement in Employment Newspaper. Important Dates: Date of publication is 30th July 2016. Last date for the submission of application form is 28 days from the last date of publication of advertisement in Employment Newspaper. Date of written examination is October / November 2016.